It’s in the spirit of tradition, exploration, and the lawless self-reliance of the gold rush that Race to Alaska was born. R2AK is the first of its kind and North America’s longest human and wind powered race, and currently the largest cash prize for a race of its kind. Continental drift is common knowledge now, but when the idea was first proposed it was revolutionary. Helen Czerski tells the story of how the maps of one of history’s finest cartographers shifted our view of the planet. In the early 20th century, Alfred Wegener proposed a revolutionary idea: that the Earth’s continents were once joined together, and had gradually moved apart. The idea contradicted almost everything scientists thought at the time, and it took the detailed work of a brilliant cartographer to prove him right. Conventional ideas held that the ocean floors were flat, featureless planes. As expeditions started to go around the world collecting ocean depth measurements, Marie Tharp – not allowed to join the expeditions herself – processed the data and began to craft detailed, revealing maps of the hidden ocean depths. She discovered that the ocean floor was in fact a complex assortment of peaks and troughs. In particular, her profiles revealed stark rift valleys, which supported Wegener’s controversial ideas. Even then, it took a long time to convince the scientific community that her findings were correct. Eventually, however, she was proved right, and Marie Tharp took her rightful place as one of history’s finest cartographers. The magnitude of her accomplishment, particularly as a woman in the mid-20th century, working in a field dominated by men, is perhaps best conveyed by Tharp’s own words. Through mapping the geology of the ocean floor scientists discovered the mid-Atlantic ridge, a feature that suggested that Wegener's unfashionable theory of continental drift might be correct. 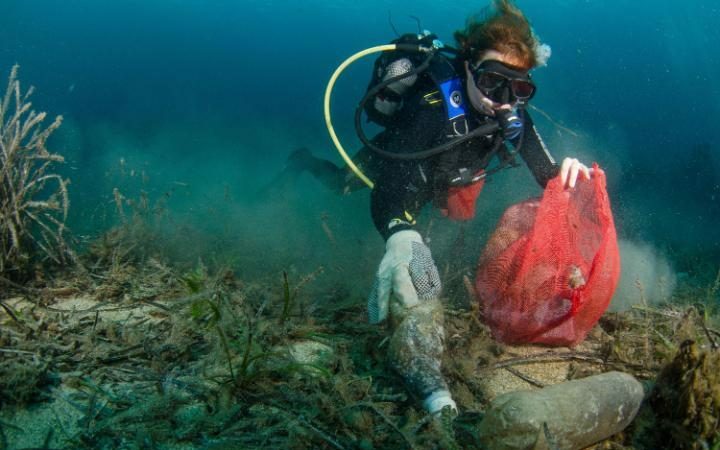 The crew had just one chance to document evidence of the build-up of rubbish on the seabed for her award-winning film A Plastic Ocean, but were forced to divert miles from where divers had reported a growing dump. As the submersible reached a deep trench one mile from the surface, the team were confronted by a junk yard of human debris. Tyres, plastic water bottles, synthetic netting, unexploded bombs and even an old parachute emerged from the gloom. The world’s oceans are drowning in human rubbish. Not only is the floating haze of scum unsightly, it is also swallowed by marine animals that cannot digest it. Chemicals leach into the water, and it has been shown that even humans who eat seafood ingest 11,000 pieces of microplastic each year. Yet there are signs that the tide may be starting to turn, and Britain could be leading the way. In 2010, Warwick University announced it had developed a process of recycling all plastic waste. The technique, called pyrolysis, "cracks" plastic into more basic molecules to form an oil called Plaxx, which can then be used as a fuel, or to make new plastic. Warwick University spin-off company Recycling Technologies has just opened its first large plant in Swindon, Wiltshire, which operators say will process the plastic of the entire town. The goal is to roll out similar plants across the world and even install small versions on board dredgers, which can trawl the water, sucking up plastic waste and turning it into fuel to power the ships. The new system aims to turn dumped plastic into a valuable commodity. “This could really be a game-changing technology,” said Adrian Haworth, of Recycling Technologies. “There is a worldwide need for it. Only a small amount of plastic is recycled - most ends up in landfill or in the ocean. We need to stop this happening in the first place. 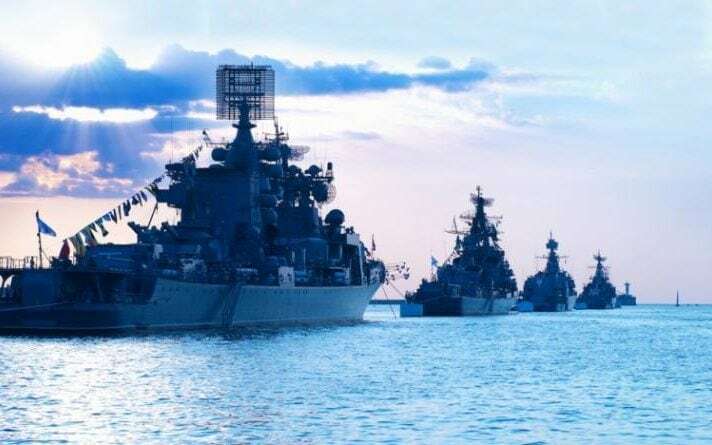 The US Navy and even some cruise ships already operate recycling systems, which take the waste of crew and passengers and heat it to temperatures of more than 5,000C to turn it back into a reusable form. The plasma torch technology is powerful enough to convert plastics, metals and glass into granules or gas. The Canadian company behind the system, called PyroGenesis, is planning plasma plants across the world, which could process up to 100 tonnes at a time. 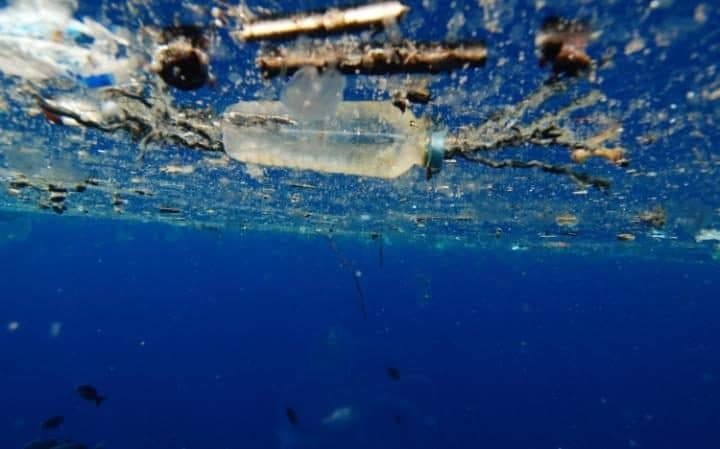 A Dutch entrepreneur is also planning to deploy a pilot device off southern Japan that will, if all goes according to plan, gather and capture some of the millions of tons of plastic that is clogging up the world's oceans. Some countries, such as Germany, have legislation over plastic. Since 1991, companies that produce it have been responsible for dealing with their waste, and most supermarkets contain state-of-the art bottle banks that scan bar codes so packaging can be returned to manufacturers. In 2013, David Katz, a social entrepreneur, founded The Plastic Bank in Lima, Peru, an organisation that pays locals in coastal communities for their plastic bottles, then recycles them, calling the result "social plastic". Further banks have since been established in Haiti and are due to roll out globally. 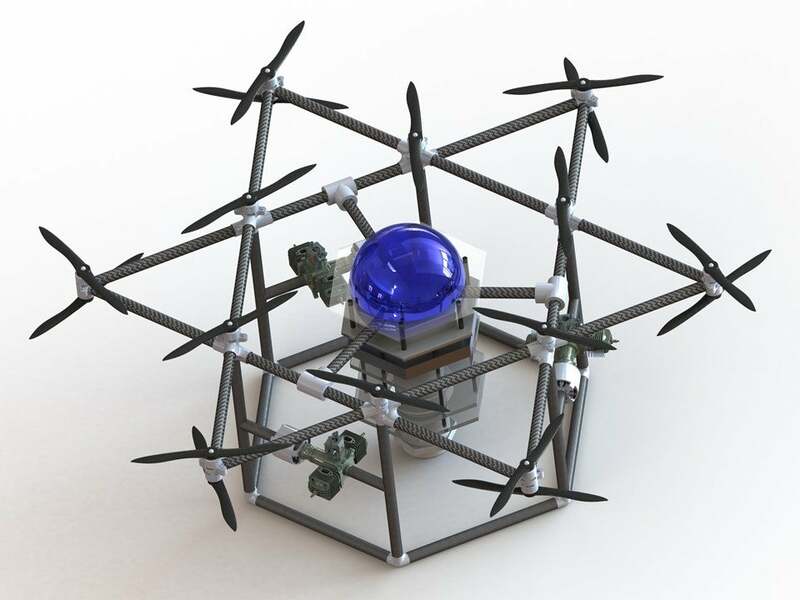 The company has released the blueprints for its plastic recycling device so that others can follow suit. Yet many experts believe that cultural change will have the biggest impact. Since the 1950s, marketeers have been persuading consumers that plastic is a throwaway product. One trillion plastic bags are produced globally every year, yet their average working lifespan is just 12 minutes. “We are in a growing culture of throwaway living,” said Professor Richard Thompson, a global expert on ocean plastics from the University of Plymouth. Ruxton, the producer of A Plastic Ocean, which has been described by Sir David Attenborough as "one of the most important films of our time", said: “It’s crazy how we believe that plastic just disintegrates, and it was because we were told in 1955 that we wouldn’t have to wash up any more. “But we’re at a tipping point now, and if we don’t act, we won’t be able to go back. In the 1960s we were producing eight million tons of plastic a year. Now it 300 million, and where will we be in another 50 years? Musician Jack Johnson has released a 30-minute film called The Smog of the Sea. It documents a week-long expedition that he and other ‘citizen scientists’ took through the Sargasso Sea of the North Atlantic, to explore the problem of plastic pollution in the ocean. Guided by ocean researcher Marcus Erikson of 5 Gyres, the participants were stunned to learn that there’s no such thing as a giant floating garbage patch anywhere in the world. Instead, plastic is everywhere, which is a far worse reality. A recent study estimated that nine in 10 of the world’s seabirds have pieces of plastic in their guts. The southern hemisphere, around New Zealand and Australia, is particularly badly affected because of major polluters such as Indonesia and Thailand. Some albatross and shearwater have been found to have nearly 3,000 pieces of plastic - up to 8 kg - in their stomachs, the equivalent of a human eating 12 pizzas worth of food. It can’t be digested, so the birds eventually die through lack of nutrition. In countries such as Tuvalu, where plastic waste washes up by the ton onto shores, locals suspect links with fertility problems. Professor Susan Jobling of Brunel University discovered that most plastics contain hormone-disrupting chemicals. Some 92 per cent of adults in Western countries have plastic and chemicals from plastic production in their systems, and their children have twice as much. "I hope it will make people really think about how they use plastics and make them wonder, for example, if they really need a plastic drinking straw or a single-use plastic bottle,” said Prof Jobling. There are even worries that what is visible could be just the tip of the iceberg. 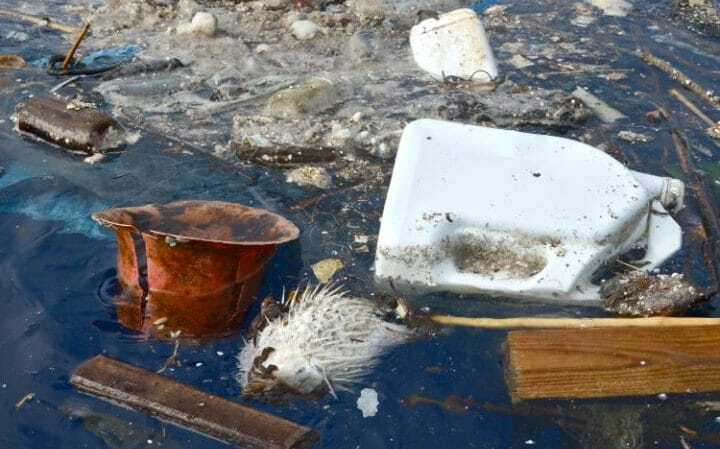 About 70 per cent of all ocean debris sinks down from the surface, leading experts to fear that huge rubbish dumps are accumulating unseen at the bottom of the ocean. Plastic becomes brittle in seawater because it’s subjected to sunlight, waves and salt. It breaks up into minute pieces and mixes with plankton, so tiny particles of the plastic are sucked up by marine life. Craig Leeson, director of A Plastic Ocean, said: “Plastic is the most durable material man has ever made, and every piece ever produced is still on the planet in some shape or form. “If you take plastic water bottles as an obvious example, one of the major problems is that people are using plastic water bottles thinking they are doing themselves a favour, when they are actually damaging their own health. David Jones, executive adviser on the film, added: “Technology can only do so much. We need to shift people’s perspectives. “We need to make plastic valuable again. At the moment, the plastic around a water bottle is far more valuable than the water inside it, but people don’t see it like that. “It’s bizarre that we have to pay someone to take away what is essentially a valuable commodity. Plastic is worth about £400 a ton, but we just throw it away. 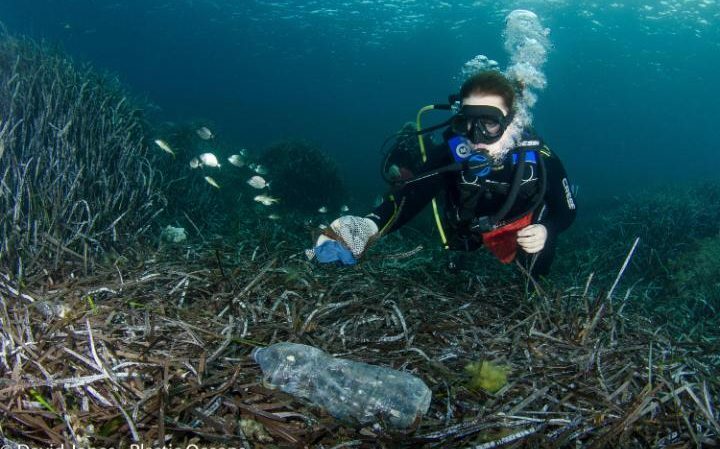 A Plastic Ocean can be downloaded from iTunes and screenings are taking place throughout the country. Density of finite-size objects after 1.5 years of evolution starting from a uniform distribution under the combined action of simulated ocean currents and reanalyzed winds. The researchers feed the model data on currents and winds to simulate the movement of marine debris. The model’s results were then compared with data from satellite-tracked surface buoys from the NOAA Global Drifter Program’s database. 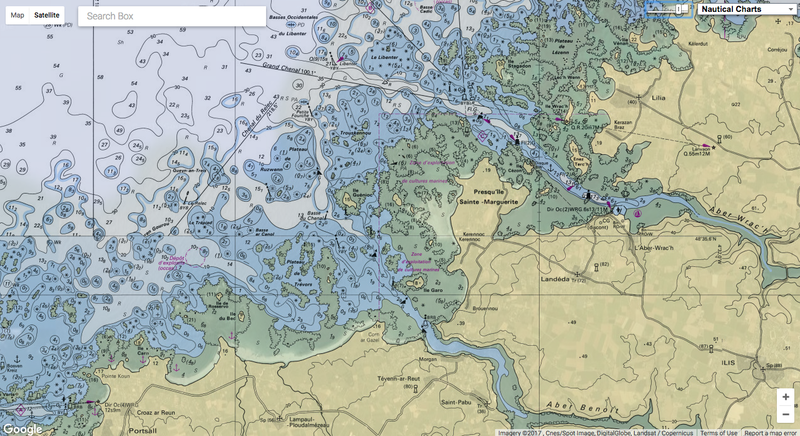 Data from both anchored buoys and those that become unanchored, or undrogued, over time were used to see how each accumulated in the five ocean gyres over a roughly 20-year timeframe. “We found that undrogued drifters accumulate in the centers of the gyres precisely where plastic debris accumulate to form the great garbage patches,” said Francisco Beron-Vera, a research associate professor in the UM Rosenstiel School’s Department of Atmospheric Sciences and lead author of the study. Global plastic concentration map based on data collected during the Malaspina 2010 circumnavigation and regional surveys. The study, titled “Inertia-induced accumulation of flotsam in the subtropical gyres,” was published in Geophysical Research Letters. The study’s authors are: Francisco Beron-Vera, Maria Josefina Olascoaga, and Rick Lumpkin from the NOAA Atlantic Oceanic and Meteorological Laboratory (AOML). 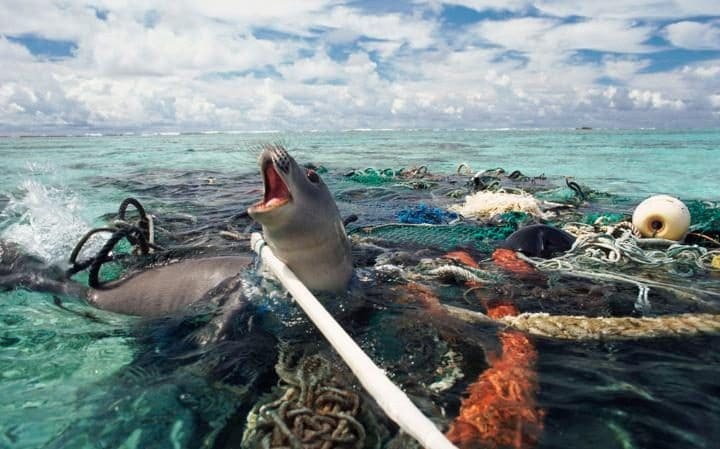 GeoGarage blog : 'Great Pacific garbage patch' far bigger than imagined ... / First of its kind map reveals extent of ocean plastic / Ocean garbage patch is mysteriously disappearing / How much plastic is in the ocean ? The interactive timeline will be very useful during this activity and you can also download a smaller ‘Britain and the Sea 1650-1850 timeline’ from the bottom of this page. 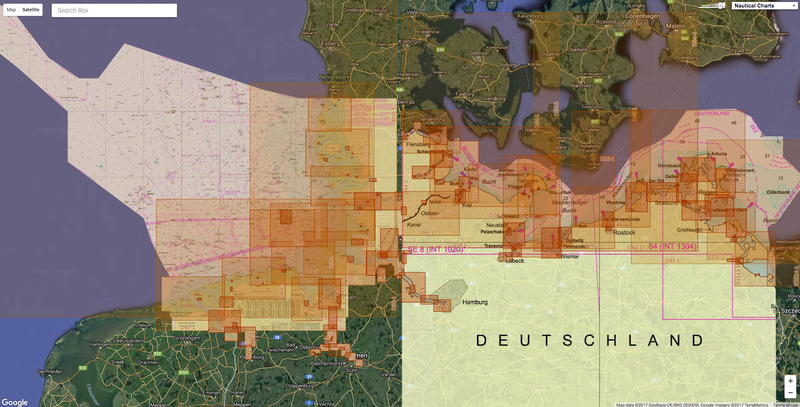 From the 16th century, European seafarers began to sail further west and then east. Driven by the hope of commercial gain, by national interest and religious belief, these explorers discovered ‘new’ maritime routes and worlds. These early ‘Voyages of Discovery’ were enabled by the new shipbuilding technologies of the late Medieval period and led to large-scale transoceanic trade and a newly-global movement of people, materials and ideas. They also laid the foundations of vast European empires that lasted into the 20th century and had profound effects in shaping the world we inhabit today. The history of European empires is a maritime one – one powered for hundreds of years by ships and sailors and by wind and sail. This ‘Age of Sail’ (c.1600-1850) was a period of significant and rapid change in the scale, technologies, social world, politics and public importance of seafaring. It was also the period when many of the political and legal institutions, scientific ideas, economic structures, and even geographic boundaries of the modern world developed. There are hundreds of stories we could draw out from this period, but within this activity we will be looking specifically at Britain’s expanding maritime world in the Age of Sail. The rest of the articles in ‘The Age of Sail and Global Seafaring’ provide examples from Britain’s maritime empire to draw out important stories, archaeological finds and developments in seafaring. But first, here is a short overview of this important period. 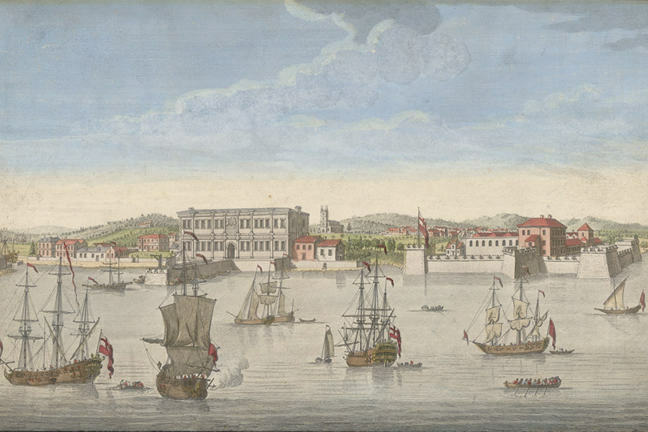 'Bombay on the Malabar Coast belonging to the East India Company of England'. Engraving by Jan Van Ryne, published Robert Sayer, London, 1754. The period between about 1600 and 1850 saw the development of the collection of overseas colonies, trading posts and military strongholds that came to be known as the British empire. English colonial interests were first focused across the Atlantic, on the colonies in the Caribbean and eastern seaboard of North America. By the eighteenth century, in common with a number of European countries, Britain drew significant wealth from the sugar plantations of her Atlantic colonies. These were worked by enslaved people trafficked across the Atlantic in European ships, via the slave trade. Goods, people and ideas all travelled along sea routes protected by the Royal Navy (from pirates as well as other European vessels), contributing to the economic and cultural interchanges that defined this British Atlantic world. The Smithsonian has a very good online exhibition on the Atlantic World. From the early seventeenth century the East India Company, a speculative merchant joint-stock company, had traded valuable goods like porcelain, silk, indigo dye, salt and tea from Asia to the British Isles. The Company initially established coastal trading posts in India through negotiation with local rulers. ‘India ships’ sailed annually from the British Isles utilising the Indian Ocean’s monsoon winds to reach the often-precarious outposts. In the eighteenth century, as they grew and became increasingly embroiled in conflicts with local rulers and competing European powers, the British involvement in India came to be shaped as much by the control of territory as by trade. In the late eighteenth century, while the British expanded their control over India, the American War of Independence led to the loss of Britain’s North American colonies and parliament discussed abolition of the slave trade. The geographic focus (as well as the ‘purpose’) of Empire began to shift. And as the eighteenth progressed into the nineteenth century, Britain expanded her interests in the East in new ways. James Cook made voyages of ‘scientific discovery’ to the Pacific to pursue astronomical measurements in Tahiti, but also to further explore the Ocean. Following his ‘discovery’ of Australia, the ‘First Fleet’ was dispatched to establish a penal colony, which led in turn to settler colonialism in Australia and latterly New Zealand. Title from first sentence of text at lower left. - "Published as the act directs, June 28th 1796, by the author, no. 49 Great Portland Street." It is important to recognise that the ocean worlds of the Atlantic, Indian Ocean and Pacific that Europeans entered over this period were very different. The geographies, weather systems, ocean currents and, most importantly, histories of each ‘ocean world’ were unique. Though there was indigenous seafaring along and around the coasts and islands of the Atlantic, for example, there was no large transoceanic seafaring tradition. In contrast, when Europeans first sailed around the Cape into the Indian Ocean they entered a complex, maritime world with a long history and established transoceanic trade routes, communities and technologies. Whilst in the Pacific, Cook encountered an ocean world with a very different history of transoceanic voyaging and navigation. The mechanisms and impacts of European exploration, trade and colonisation were, therefore, particular to each ocean world. Finally, it is also important to remember the larger historical narratives of Britain’s maritime empire often focus on the lives of rich, European men. Maritime archaeology can certainly provide important insights into the ‘big’ events and stories (both the celebrated and the infamous) of Britain’s Imperial past. But it can also offer us glimpses into the everyday lives of sailors, migrants, convicts, indentured labourers and even slaves. Shipwrecks and port archaeology present a window onto a world in motion – where all types of people and their possessions, goods and raw materials, and even ideas were on the move. That means that if we explore this archaeology carefully, and ask the right research questions, we have the chance to better understand the lives of all types of people from all over the Empire, and thereby better understand our own world.